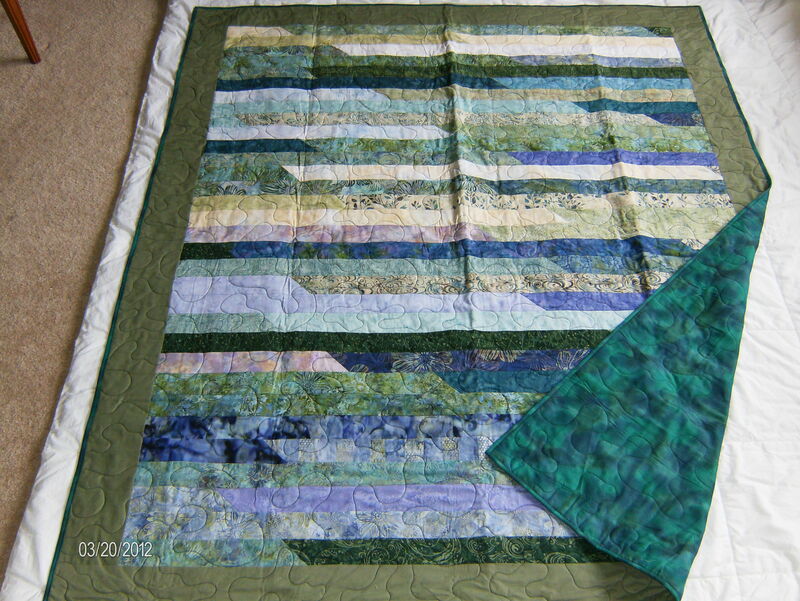 Beautiful strip quilt done in all greens with varigated green back. Appropriate size for a big couch throw or could go on a twin bed. (Actual dimension 59x73). All fabric is 100% cotton, including Warm & NaturalTM Batting. Quilt is immediately available. If pattern is desired in another color or size, please allow 6 weeks for delivery. 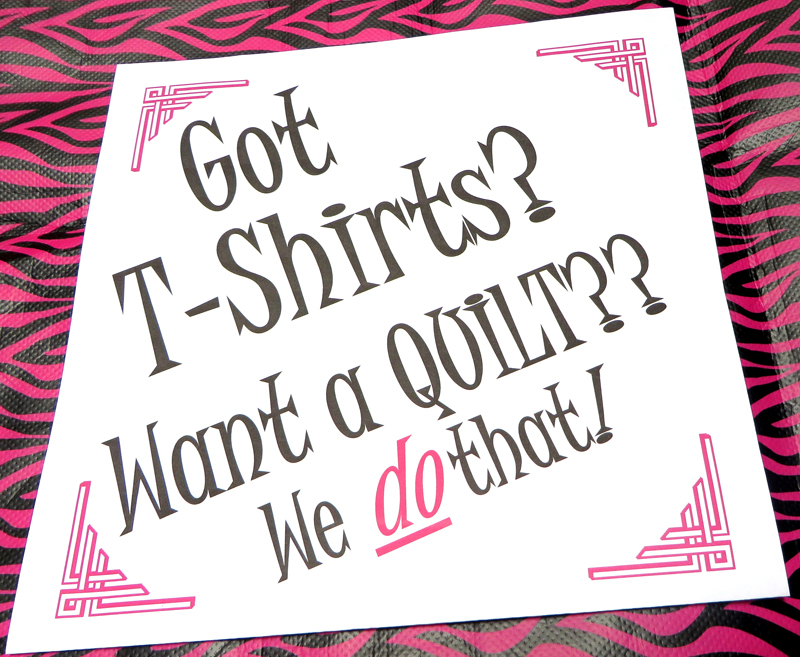 We are a mother/daughter team who make T-Shirt Quilts and Custom Quilts. We love the feel of fabric and the story that a quilt tells. We can transform your grandma's hankies, babies "onesies", or your favorite quilt pattern into your dream quilt. We take pride in customizing a quilt for you. A quilt is for anytime, any reason .... and for a lifetime!